What are the Requirements to Become a Driving Instructor? NUI Driving Instructor Training provides a wonderful opportunity to start your own business, and set to your own income targets as a self-employed professional. That said we are not promising that becoming a driving instructor will make you rich. You can make a very nice income but it's our belief that living a rich life isn't about money. It's about doing something that you love and making a difference. If you're willing to invest the effort that comes with training and qualifying to become an ADI and if you want to help young adults stay safe on our Irish roads then being a driving instructor may just provide you with a business that gives your life that freedom, passion and satisfaction. The next step of approved driving instructor training is to choose a reputable instructor training company in the country. Through a range of training methods, this will prepare you for the three part ADI test that the RSA requires you to pass in order to legally undertake driver training in Ireland. The theory aspect of the ADI test is quite similar to the theory test for learner drivers, but will include questions directly related to instruction and the ADI scheme. Again similar to the practical driving test for learner drivers. ADI participants must complete the test with fewer than 5 driving faults in total. The roles are reversed as the ADI participant acts as instructor to their examiner in a practical, on-the-road setting to test instruction skills. The three stages of the test must be passed in order, but can be taken as many times as required. However, all three stages must be successfully passed within a 2 year period to qualify for ADI status. What are my ADI Training Options? 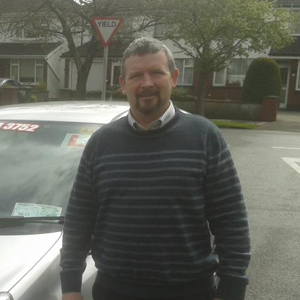 Traditionally, driving instructor training in Ireland is undertaken on a personal, one-on-one basis by established driving instructor training businesses operating in the country. 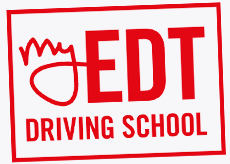 This includes local driving tuition, along with theory education and development of instruction and leadership skills. However, there’s a growing trend for aspiring approved driving instructors to complete their driving instructor training online. Online tuition is making it more convenient to study for the ADI examinations, offering you the chance to access valuable resources and test your knowledge from any location, at a time that suits you. For many people training to be an ADI, online training can enable you to receive the necessary tuition while working around existing work, social, and family commitments. Once you have successfully completed the driving instructor training requirements - including the three part test - you will be entered onto the ADI register maintained by the Road Safety Authority. By registering as an approved driving instructor, you will be able to legally provide theoretical and on-the-road tuition for learner drivers, and charge a fee for your services. You will also be eligible to apply for driving instructor jobs offered by driving schools in the UK and Ireland. Upon approval of your registration on the ADI register, you will be sent an ADI permit which features your registration details and photograph that you must display in your vehicle when providing fee-based lessons.